We’re nearly half-way through 2016. Are you meeting your yearly mortgage marketing goals? More specifically, are you reaping the rewards from a post-closing campaign that sends borrowers milestone communications? Mortgage marketing is much more than getting the borrower through the door; it’s about consistent, sustained follow-up to create customers for life. 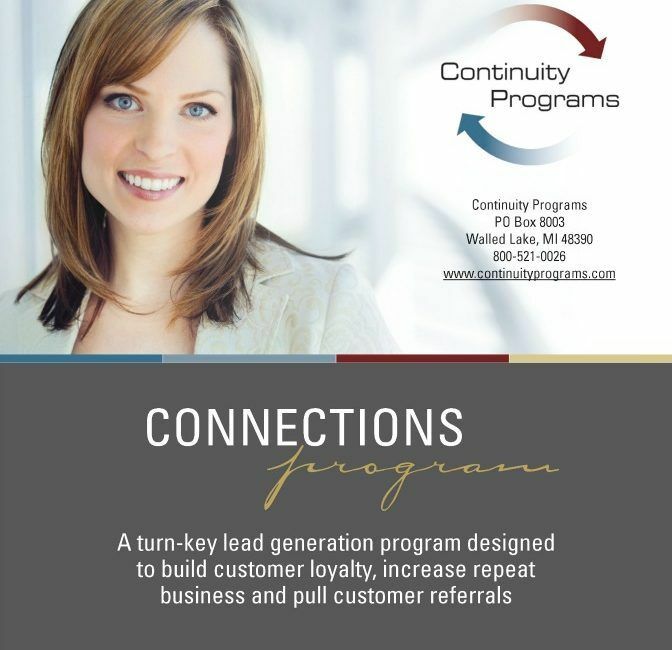 We’ve put together what we call our Connections Program — a 5-year, turn-key lead generation program designed to help you build customer loyalty, increase repeat business and pull customer referrals. You work hard to build a loyal customer base. Did you know that 60% of customer referrals occur in the first six months after the loan is closed? One of the best ways to utilize that 6-month window is with an automated referral program. From 15-day referral thank you cards to fifth-year lead generating surveys, we show you how to automatically communicate with clients post-closing. Each campaign is tailored to your individual customers and the type of loan they received. Mailings that make it easy for customers to refer you feature your contact information and include personalized emails, direct mail, holiday greetings, surveys and lead generation components. We show you how to gather valuable data through customer inquiries such as surveys, questionnaires and response cards, and how to immediately respond to hot lead notifications. Each month your office receives a detailed report of mailing showing the communications each agent’s client received. Customer of interest reports detail customer inquiries and responses from the previous month. And a semi-annual customer satisfaction survey analysis report gathers and reports on the responses to customer satisfaction surveys, giving you crucial marketing data and an in-depth overview of how customers perceive your company.